Alison Powell poses the question in this blog post of whether we are moving into an era of ‘policy-based evidence': where ideologically-driven policy making may lead to an end of evidence collection on key indicators (justified, no doubt, in the interests of ‘efficiency’), but impoverishing our understanding of the impacts of key policy choices. Alison certainly has a point: collecting evidence on an issue has been a key political strategy for shifting the political debate: and when evidence on the impact of a policy is gone – showing the positive or negative impact it had becomes far trickier. However, just because government stops collecting data, or requiring that data is collected, doesn’t necessarily have to mean the loss of important social-policy datasets. The same transformational technological forces that mean government no-longer needs to, or can justify, monopolising the analysis of state data, means that the monopoly power of government is no longer needed to collect and collate many social-policy relevant datasets. 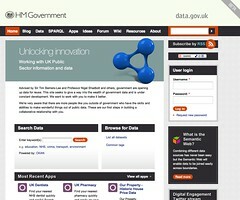 For many datasets the state has acted as co-ordinator of data collection: using it’s authority to require data to be shared in a standardised form (more often than not, spreadsheets or forms filled in and mailed or e-mailed in to some official in central government, who then rekeys data into another spreadsheet…). But: with collaborative online tools, will from the grassroots, and the right co-ordination/leadership many important datasets may be possible to generate without government involved at all. 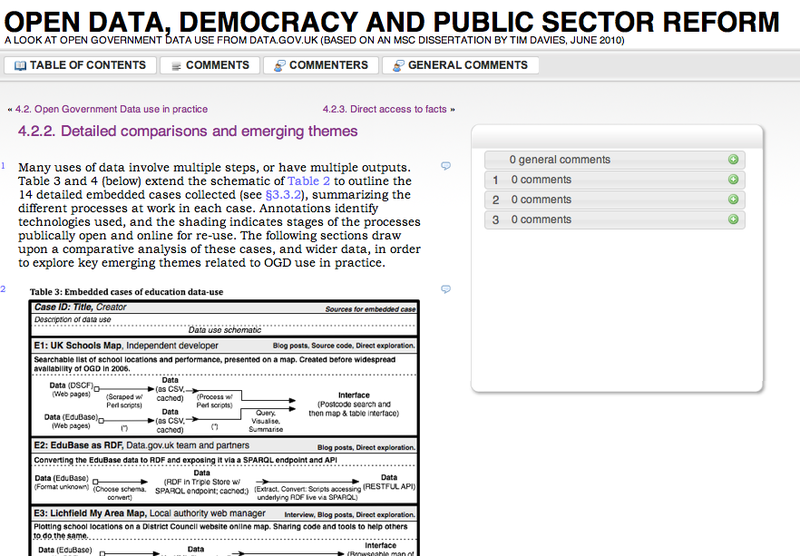 Of course, if the strict definition of open government data is only applied to “produced or commissioned by government or government controlled entities” (though the definitions are a live debate…) then what I’m really talking about is community-created “open governance data” – or ‘data essential for informed democratic policy making’.